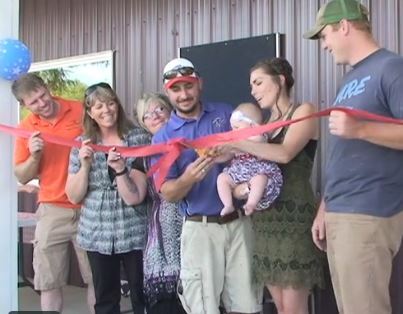 The Clarks help their daughter, Cody Jane Clark and the Fresh Start Board of Directors cut the ribbon during the grocery cooperative’s Grand Opening in Geraldine on July 22. 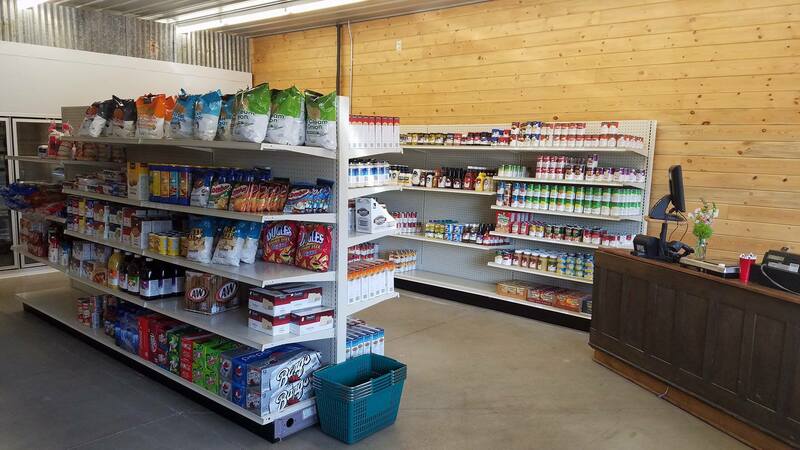 The small Montana town of Geraldine once again has a grocery store operating in the center of town. Prominently located at the corner of Main and Collins streets, the “Fresh Start” cooperative celebrated its grand opening on July 22 with a well-attend public barbecue and ribbon-cutting ceremony. Fresh Start organizers invested two years in planning and member recruitment to launch the co-op, which now boasts more than 120 shareholders. 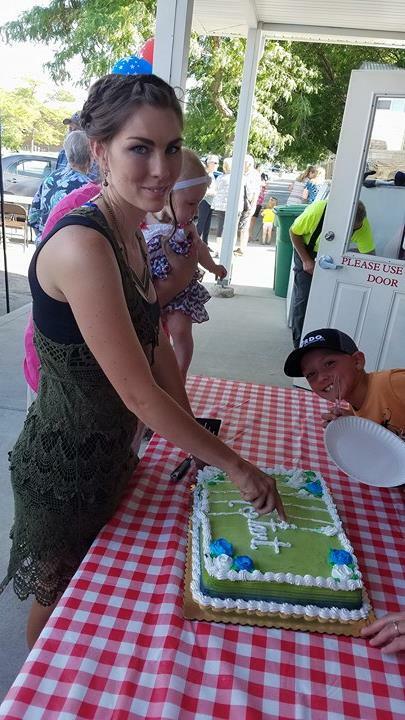 Fresh Start Marketing Coordinator Shaya Clark cuts the grocery co-op’s Grand Opening cake. Shaya Clark spearheaded the steering committee’s organizing process and has been responsible for marketing the new co-op enterprise. She held monthly meetings, conducted a community interest survey, and enrolled subscribers to raise capital for the store. “It took a lot of conversations with a lot of people. 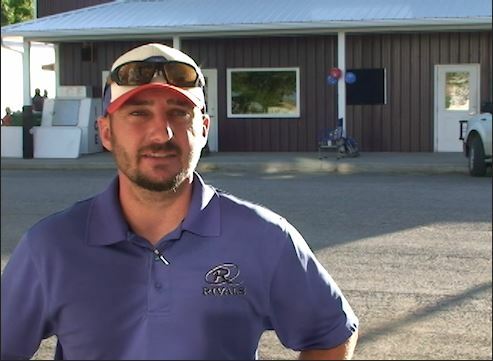 It meant raising financial support from our community and neighbors, and it took a lot of learning about operating a small retail store,” explains Clark. 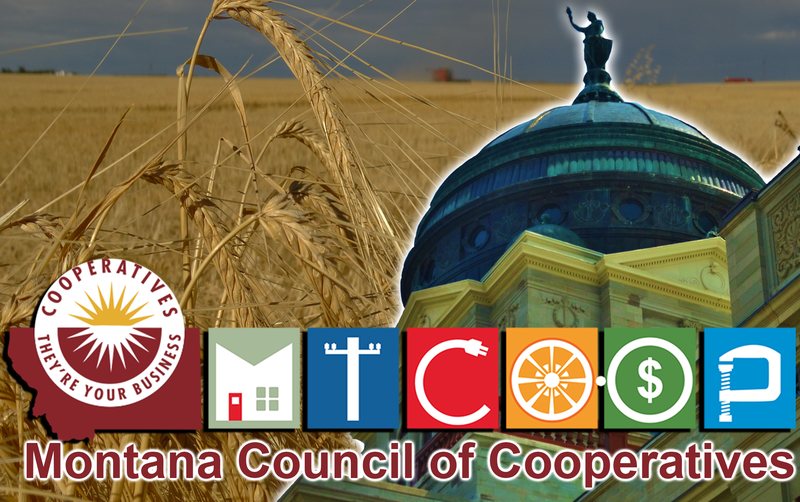 Last November, the committee invited some 70 initial subscribers to vote on co-op bylaws and elect their first, five-member board of directors. Clark and her husband Corey were both elected to the Board, and Corey was elected President. The other directors include Vice-President Cody Joyce, Secretary/Treasurer Tricia Juedeman, and director Aaron Jones. Corey Clark says serving on the co-op board is a voluntary commitment for all newly elected directors in addition to their full-time jobs. This spring the Fresh Start Board of Directors hired Beth Lewis, a resident of Geraldine, to manage the daily operations of the store. As general manager, Lewis is responsible for keeping the store stocked, and inventorying and ordering products. Lewis also works the cash register. Fresh Start General Manager Beth Lewis inventories items at the store. Fresh Start Cooperative Board President Corey Clark. Fresh Start Board President Corey Clark served with Armstrong on the steering committee during the co-op planning process. “It’s a different kind of business model from a sole proprietorship. 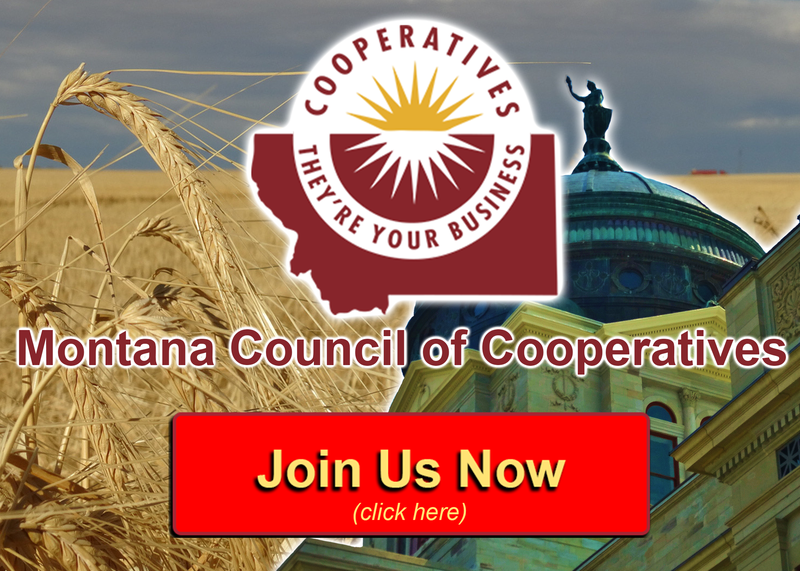 As a member of the co-op, you’re one of the owners of the business. At a hundred dollars you can buy into our business and be a voting member. Every member can potentially be voted onto the board and participate in leadership and decision-making,” explained Clark. Clark says Fresh Start serves a vital purpose as it’s currently the only place in Geraldine to buy groceries. Clark concluded that the cooperative business model can work in other rural communities like Geraldine if enough people are committed to its success. 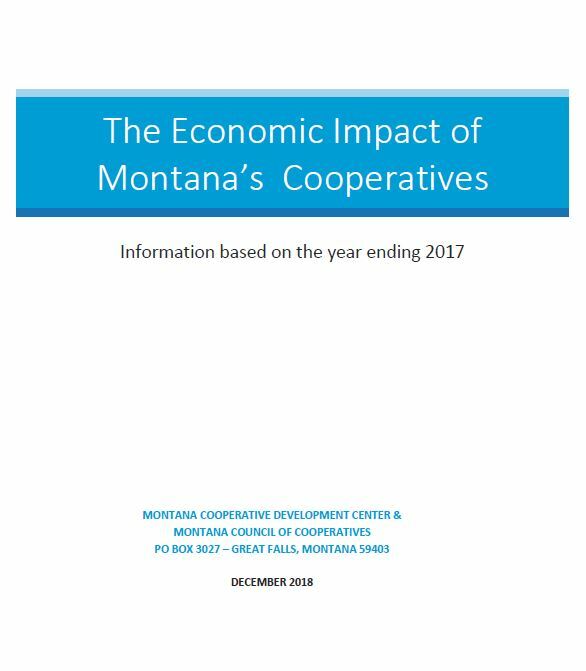 Technical assistance is available from the Montana Cooperative Development Center in Great Falls, which assisted Fresh Start organizers throughout their two-year process.